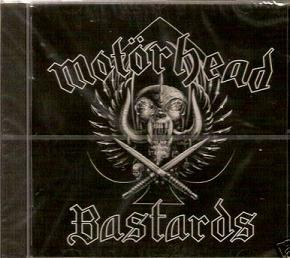 After Motorhead had been dropped by Epic they got an offer from the independent German ZYX label, a label that previously mostly had released techno music! But the deal was generous so they accepted. Later they cofessed it was a mistake, the biggest problem being that ZYX did not manage to distribute the album in the USA. Anyway, the album was recorded in 1993 at A&M Studios, Hollywood, and Prime Time Studios, Hollywood, and this was the first time Howard Benson was used as producer. 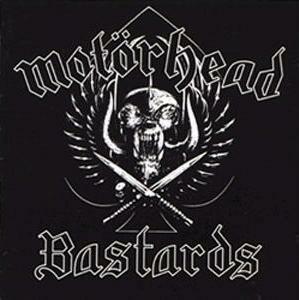 Motorhead would continue to use Howard for several albums. 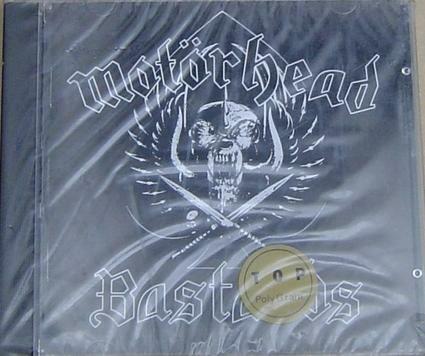 The result was very good and the band often mentions Bastards as one of their favourites. 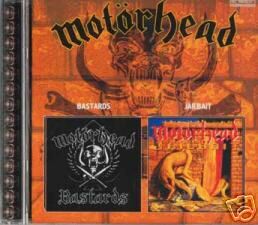 It was also the first album Mikkey Dee recorded with the band. The only thing he had recorded with the band prior to this was the Hellraiser and Hell on Earth tracks. 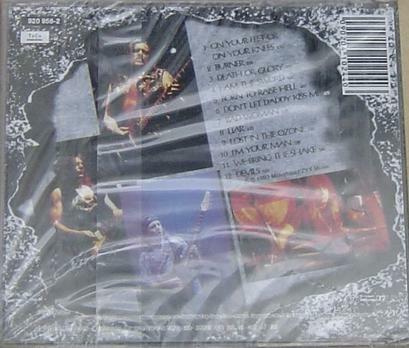 The sleeve was made by Joe Petagno again and it was his first sleeve since 1987 Rock´n`Roll album. He had contributed a picture to the MHB Magazine since he thought the March Or Die sleeve was so terrible (Which it was!) and wanted to show how he would have liked to do it. 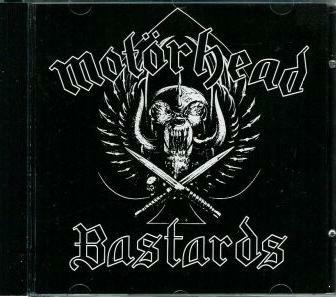 So the band obviously liked it and it ended up as the Bastards sleeve. 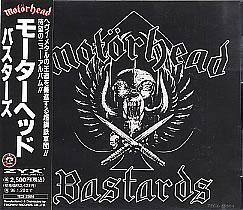 The album was released on vinyl, probably only 1000 or 2000 copies since CD was now the main format. 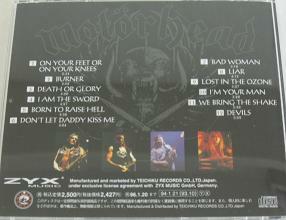 As already mentioned the CD did not get a distribution deal in the USA so there are no US version of the first release. But the European is available with a black or red disc. Or, some years later, as a Music Club edition. It got distribution in Japan, Korea, Brazil and there is even a strange Polish release. I have also seen a special French release with cat no 3609 2 but I have never seen that one, or the Australian one for that matter. 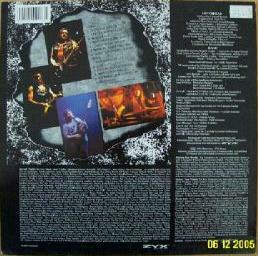 SPV decided to re-issue the album widely with a bonus track, Jumpn Jack Flash, in 2001. 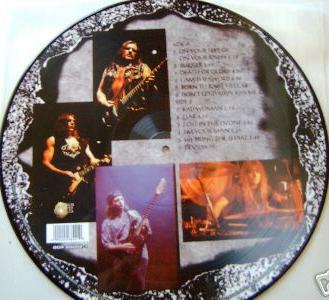 In 2004 a picture disc version was released by a Swedich label and another picture disc verison was released a few years later, this time with each copy individually numbered. 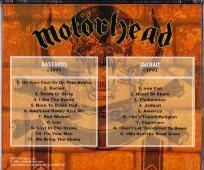 In 2008 there was a digi pack version released in Argentina. 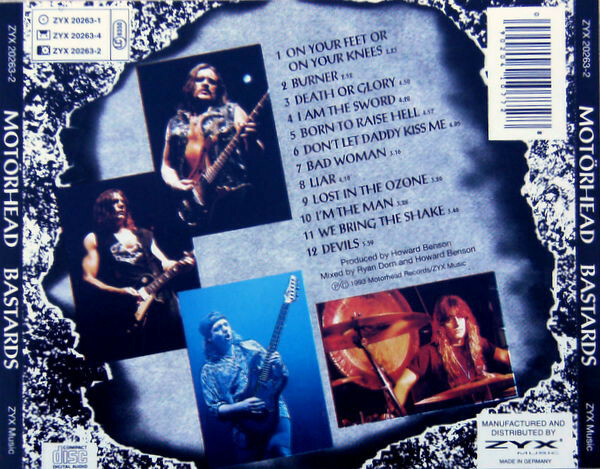 In 2013 a version called Death Or Glory with a totally different sleeve appeared.